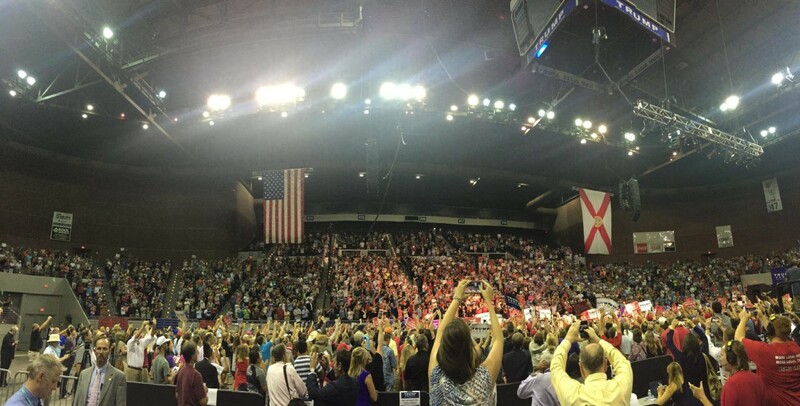 PENSACOLA, FL – On Friday, Republican presidential nominee Donald Trump flexed his political muscle by drawing one of his largest crowds since securing his party’s nomination in the pivotal battleground state of Florida. In what has traditionally been a very Republican-voting region of the state, Trump backed up his January capacity appearance with another strong showing. 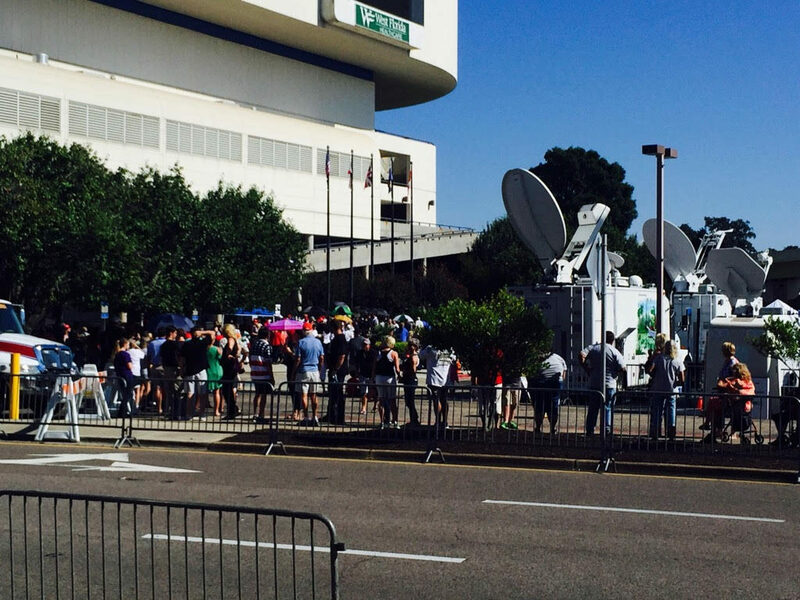 It was evident early on, as thousands lined up to get into the Pensacola Bay Center three hours before the rally began to see the presidential hopeful. Trump hammered the usual planks of his campaign stump speech – trade, national defense, immigration, and the flaws of Democratic presidential nominee Hillary Clinton. He drew perhaps his biggest applause when he told the crowd what he would do to Iranian boats that threatened U.S. ships. “With Iran, when they circle our beautiful destroyers with their little boats and they make gestures at our people that they shouldn’t be allowed to make, they will be shot out of the water,” he proclaimed. He went on to speculate Clinton could get away with much more and avoid prosecution. Those remarks led to the crowd chanting “lock her up,” to which Trump said he had something else in mind for his opponent. Trump also vowed to have a 350-ship navy, which could be seen as welcome news for the region that has a strong naval presence. Pensacola is home to several U.S. Navy installations and the famed Blue Angels, which is the flight demonstration squadron of the Navy. Among those in attendance to support Trump were both the Republican nominees for Florida’s first and second congressional districts, Florida State Rep. Matt Gaetz and Dr. Neal Dunn. Both Gaetz and Dunn are heavy favorites to win their bids for each of those open seats. Others there to show support for Trump were Rep. Jeff Miller (R-FL), the outgoing member of Congress for Pensacola, and Trump advisers Gen. Michael Flynn and former New York City Mayor Rudy Giuliani. 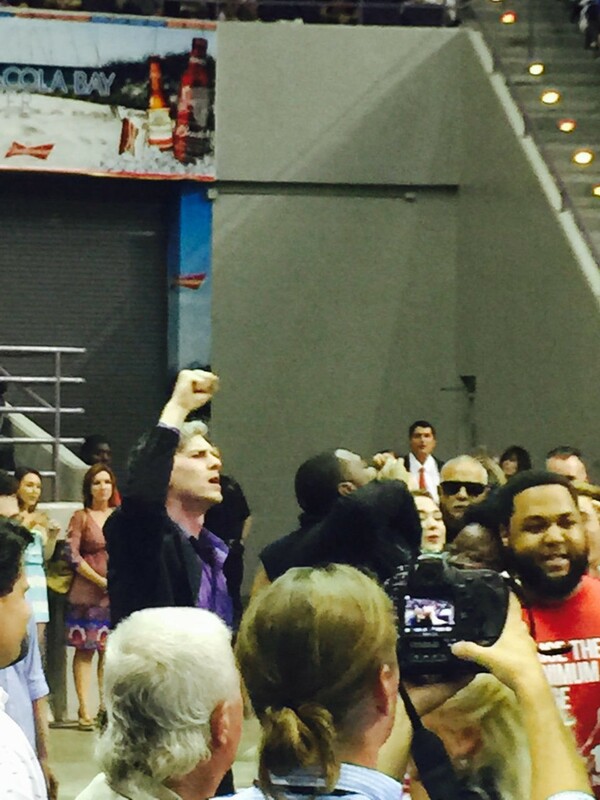 The event was not without protesters. 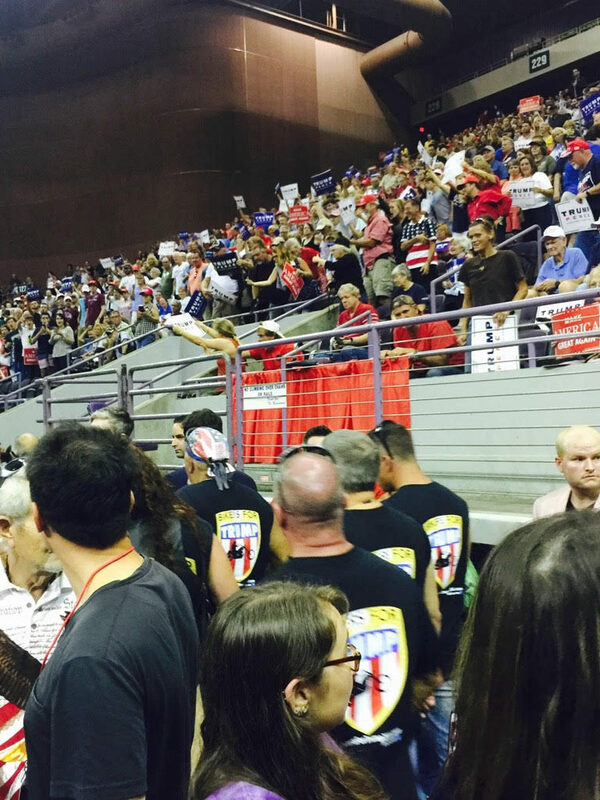 Although it was late in the rally, a handful protesters managed to interrupt Trump’s speech, but they were escorted out by security and followed a group of people sporting “Bikers for Trump” T-shirts. 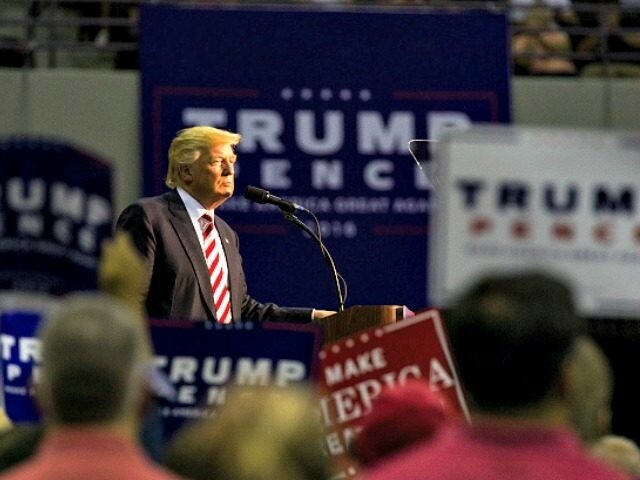 While Trump will likely dominate in Florida’s dark-red GOP panhandle region, his appearance in Pensacola could prove as an important step in getting out the vote. Although Pensacola and other cities in this region of the state lag behind the more populous parts of Florida that include Orlando, Tampa, and Miami, a stronger-than-usual turnout by Republican voters would be a feather in the cap for a campaign that is in a dead-heat with Democratic presidential nominee Hillary Clinton for the state, according to polling.